Mumbai Indians Indirectly Mocked Dinesh Karthick For Not Giving Strike To Krunal !! Here’s How Fans Reacted !! The Indian men’s and women’s teams suffered heartbreaking defeats in their respective T20I matches on Sunday and will have to now head home in disappointment. The men’s team fell short by 4 runs as they failed to chase down a mammoth 213-run target against Kane Williamson’s side, who clinched the series 2-1 as a result. 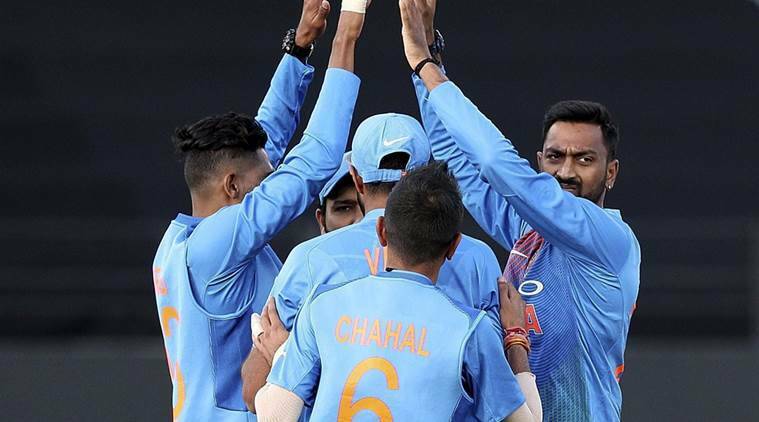 India needed 16 runs off the final over in their run chase but they could manage to score 11 runs with Dinesh Karthik and Krunal Pandya making a fist of the total despite the loss of wickets early on. When India needed 14 runs off 5 balls, Karthik played out a dot ball off Tim Southee and in the next ball he hit the ball towards long-on but sent Krunal Pandya back when the latter wanted to rotate the strike. Karthik managed only a single in the next ball and thereafter, it was a mountain to climb for India. The Tamil Nadu cricketer hit a six off the last ball, but it was too late. Now, Indian Premier League (IPL) side Mumbai Indians have taken a jibe at Karthik for refusing to give the strike to Krunal in the last over despite the all-rounder scoring 25 runs off 12 deliveries at that moment. “. @krunalpandya24 26 not-out from 13 balls and got to face only 1 ball in the final over. Hard luck, KP! #CricketMeriJaan #NZvIND,” stated the Mumbai Indians official Twitter account. However most of the fans expressed their disappointment on the bowling performance of Krunal Pandya and trolled the post for various reasons. One fan went one step ahead and trolled this post for calling Krunal Pandya as KP where he says that the only KP he know is Kevin Pietersen. What about match loosing bowling figures by KP??? KP ?? Anyone says KP and the only person my mind thinks of by default is one & only KP – Kevin Pietersen. 3rd class bowling by Pandy bros ..😈, talk about that …. What do you think on this post of Mumbai Indians ?? Comment below !! Previous articleHilarious Reply From Priya Anand To The One Who Asked About Her Future Project !! Check Out !! Next articleMan Left His Family With Pregnant Wife Because Of PUB-G !! Shocking Report ! !